Home insurance is an absolute essential for any homeowner. After all, a person’s home is typically the most valuable possession that they are ever likely to have. If your home falls victim to a natural disaster, theft or fire, and you do not have insurance to protect you, the consequences can be unimaginably devastating. Home insurance is divided into two categories including buildings insurance and contents insurance. The latter covers you for loss of items such as furniture and personal possessions. Almost everyone is insured for both the bricks and mortar which make up their home and for the contents within. While you can probably already understand why home insurance is practically mandatory, you might be rather put off by the high premiums. However, the following ways will help you get a home insurance discount. When you have to make a claim, your insurance company will likely increase your premiums. Your claim history will also come into effect even if you switch to a new insurance company. While there are the obvious situations where avoiding making a claim is impossible, making minor claims should generally be avoided. If you can easily afford to replace any damaged items or carry out any repairs yourself, you might want to consider doing so rather than approaching your insurance company, this will get you a home insurance discount in a long run. Most insurance policies are subject to an excess (also known as a deductible). The excess is the amount which you need to pay out of your own pocket before the insurance company will step in and compensate you. An excess is usually a set amount which will be outlined in your insurance policy. The size of the excess will also have a knock-on effect on your insurance premiums, getting you a home insurance discount. Just be sure that you will always be able to pay it, however. 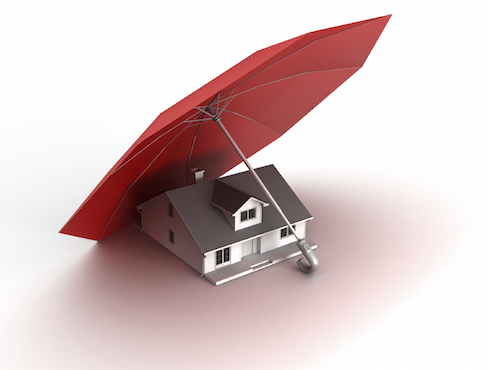 Your home insurance provider will typically have various demands with regards to the safety and security of your home. It is also important to alert them to any increased risks, such as if you live in an area where flooding or subsidence is an issue. Your premiums will also be lower if you have things like a smoke alarm or burglar alarm installed and checked on a regular basis. You should also ensure that locks on both windows and doors are up to standard. It shouldn’t come as a surprise that an empty home is at significantly higher risk of falling victim to theft or fire. Most home insurance providers will refuse to cover you if your home is left empty for more than a month at a time. If you are in the habit of leaving your home empty for a long time, you will need to pay higher premiums. Going away less will help to keep your premiums down. Regardless of this, it is always advisable to have someone keep an eye on your home while you are away, even if you are only planning to be away from home for a few days. Many insurance companies offer a wide range of coverage options spanning from car insurance to home insurance to travel insurance. Whether you intend to stay with the same company or switch to a new one, using the one company for all or most of your insurance needs will normally work out to be significantly more economical and easier to manage as well. It is strongly advisable to get both your buildings and contents insurance through the same provider in order to avoid overlap. *Talk to one of our agents to learn more about home insurance discounts.